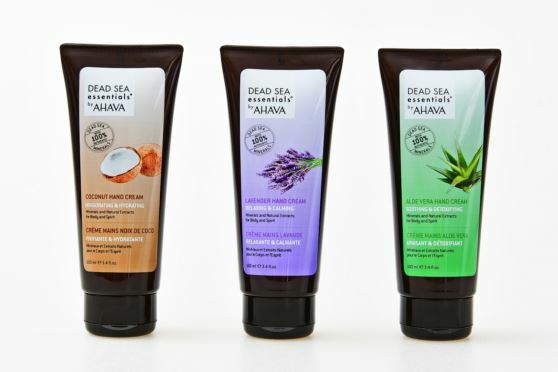 AHAVA the leading skincare, bath & body brand from the Dead Sea, has chosen LageenTubes' unique decorated PE tube to be its partner in the launch of its new "Dead Sea Essentials" line. The luxury Dead Sea Essentials series harnesses the power of pure and healing minerals that come directly from the Dead Sea, and is clinically proven to protect, nourish and rejuvenate the skin. Looking for packaging that was both unique and outstanding, AHAVA chose LageenTubes' Flexo and Screen print that provide infinite possibilities of shades and designs. LageenTubes' experience and expertise in printing high resolution photo images on a dark colored tube, provided AHAVA with the confidence to choose the company as the best packaging partner for its new launch. The packaging was developed especially, encompassing the specific characteristics of the new brand to reflect the natural, relaxed look and feel of the products to the consumer. AHAVA and LageenTubes have been working together for over 20 years and continue to develop a whole new world of decorated tubes.